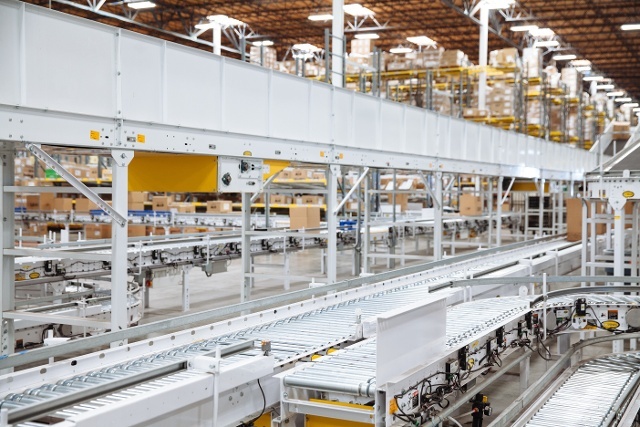 Automated conveying systems in distribution and warehouse environments need to pivot. Dropping in a conveyor system without a warehouse control system (WCS) makes no sense. Bill Maple, director of software solutions for conveyor company Hytrol, shared new approaches connecting business systems to warehouse automation. Working closely with a network of integration partners this approach is obvious for new implementations.That said with a strong economy, Maple noted that existing systems are being reconfigured to operate differently, or legacy systems are requiring technology or automation upgrades. Pivot is Hytrol’s WCS and is uniquely positioned as an affordable solution that directs the real-time activities within warehouses and distribution centers. It performs the role of a “traffic cop” by managing the communication between the individual nodes of material handling equipment such as computers, conveyors, sorters, and printers. Some integration partners have offered other WCS software solutions previously or have ongoing relationships with other WCS vendors. Some integration partners even have their own internally develop WCS application. Some Integration Partners have no experience with WCS applications. Hytrol works with the experience and expertise of each integration partner to ensure the customer is best served. Hytrol integration partners discuss pivot applications with the business development team and integrator services team when providing a turn-key solution involving automated sortation, scanning, controls, and installation. For 20 years the Pivot WCS solution has been installed in many operations because customers commonly request that the product complement existing information systems without duplicating functions managed by other systems. This keeps the cost low and reduces risk by decreasing the implementation complexity. Pivot gathers order information from the customers’ system (WMS) and provides instructions to the conveyor control system (CCS) regarding how to route products as it moves on the automated material handling system. The WCS communicates with the print and apply labeling equipment to generate and validate that the proper label was attached to the shipping carton. This critical step facilitates the logistics as the product moves outside the building. Connecting the information gathered from the WMS, CCS, weighing system, cubing systems, and rate shopping software is vital when sorting products to the correct lane assigned for the carrier. Providing product level traceability while the item moves through the customer’s facility is bolstered by having the operator determine the order history, communication errors, the products last known location, and the path it took to get to the current location. Performance metric reports from best-in-class WCS solutions are commonly viewed in remote locations via a web browser, attached to an email as a pdf or displayed in an email on a mobile device. The information is displayed based on the customer’s request and security policy. The warehouse or distribution environment most require these technological toolsets are common when products are automatically routed to multiple locations for order picking.Typically, the customer uses multiple shipping carriers and has a case sortation system which directs products to the proper shipping lane. One may also find pallet building or pallet sortation are required. Systems where multiple systems must communicate in real-time and act as a seamless system often require specialty equipment such as tilt-tray sorters, in-motion scales, dimensioning equipment, label printers, goods to person machines, and scanners and conveyor control systems. WCS solutions do not replace warehouse management systems. Instead, the WCS is a proven middleware application that links systems and facilitates communication between elements of the system, complementing integrated system applications. 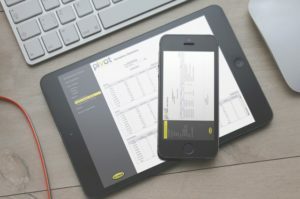 WCS distribution software applications, like Pivot, direct the real-time activities within warehouses and distribution centers. It performs the role of a “traffic cop” by ensuring the individual pieces of material handling equipment (computers, conveyors, sorters, printers, etc.) run smoothly and provide maximum efficiency. An integrated material handling system requires that multiple business systems as well as dissimilar pieces of equipment act as nodes on a network. Nodes are required to communicate and collaborate with one another. These nodes are usually designed to operate independently and there is no easy way to exchange information between the nodes; some nodes do not have decision making capabilities or are not designed to respond in the time needed for item by item decisions. Hytrol has solved the problem by adding this middleware application that connects the appropriate nodes on the system and allows for real-time decision making. The WCS application is designed in collaboration with the business and the integration partner working together to balance years of experience and the attributes that make the operation unique. Thomas R. Cutler is the president & CEO of Fort Lauderdale, Florida-based, TR Cutler, Inc., (www.trcutlerinc.com) Cutler is the founder of the Manufacturing Media Consortium including more than 6,000 journalists, editors, and economists writing about trends in manufacturing, industry, material handling, and process improvement. Cutler authors more than 500 feature articles annually regarding the manufacturing sector and is the most published freelance industrial journalist worldwide. Cutler can be contacted at trcutler@trcutlerinc.com and can be followed on Twitter @ThomasRCutler.